Just found this when sorting through some old photo. 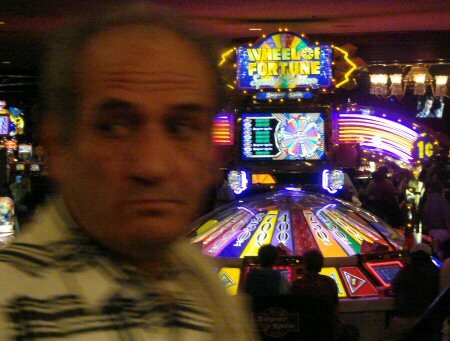 I’d intended to take a sneaky picture of the giant Wheel Of Fortune Super Spin slot machine just inside the doors of Barbary Coast. This happy soul had other ideas about that, and perfect timing.